Interested in a career as a toy designer? 1996 Scholastic Awards winner Jeremy Madl recently talked to Scholastic Art Magazine about his work as a toy designer and running his own company. Check out the interview below! SCHOLASTIC ART: What is your job? Jeremy Madl: I design collectible toys— or art toys. I have my own company, Mad Toy Design. I’m a one-stop shop from concept to delivery of the final product. SA: How do you design a toy? Photo Credit: Iñigo Sesma. 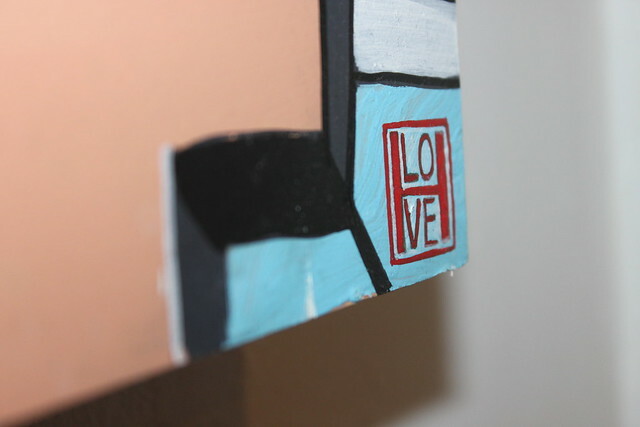 Taken at Harrison Love's Compressed Culture show at the Greenpoint Gallery on April 6, 2012. This was no different for artist and illustrator Harrison Love, who won a Scholastic Art & Writing Award in 2004. Looking for the right opportunity to exhibit his work without feeling the bite of a gallery’s commission or percentage was no easy task. After looking for a year, Harrison was starting to become discouraged by the long wait list and huge commission percentage of galleries around the city. Chic and multitalented fashion designer and photographer Esther Boller has won Scholastic Awards the past four years in a row, including a Gold Medal for her gorgeous Masking Tape Dress earlier this year (shown above). Her dress caught the attention of BurdaStyle, which did a wonderful feature on her. Check out the interview below. We are so excited to chat with designer, artist, and long-time BurdaStyle member Esther Boller (aka: Melonhead), who has recently won a National Gold Medal in the Scholastic Art and Writing Awards for her Masking Tape Dress – an amazing creation made entirely out of masking tape! First of all, congratulations on winning the award. Thank you! Sophie Friedman-Pappas. Uncertainty. 2011 Gold Medal, Painting. Sophie Friedman-Pappas applied her Award-winning artistic skills to a fascinating internship this fall. Teen artists and writers take note: According to Sophie, an internship can deepen your creative perspective! Read on to learn about Sophie’s approach to art and her internship at New York City’s Educational Alliance. When did you first become interested in art and painting? Growing up, I was exposed to art galleries and openings because my mother was a painter. Due to my early experiences with the art world, my work originally consisted of drawings of fairies and dragons.